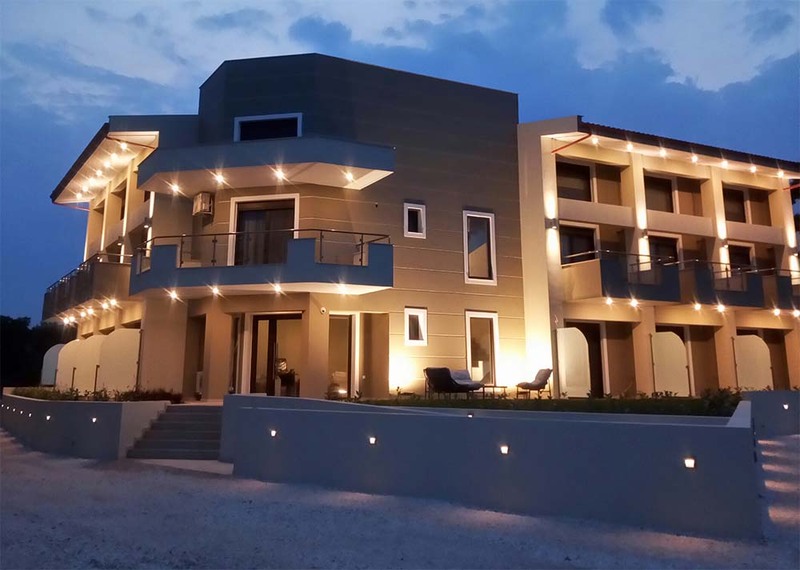 ‘Gmare’ is a modern, fully-organised, newly constructed studio and apartment complex located in the most important hub of Halkidiki Peninsula. Your stay at‘Gmare’ offers you everything you need for truly enjoyable holidays, exactly as you have imagined them: easy access to every part of Halkidiki Peninsula and the city of Thessaloniki. The‘Gmare’ studio and apartment complex is located in the village of Gerakini, on the beach of the first third of Sithonia Peninsula; in fact, it lies between Sithonia and Cassandra Peninsulas, at the heart of Halkidiki, affording easy access to the most beautiful beaches of Greece, famous for their clear, blue, transparent waters. Situated just 65km from ‘Macedonia’Airport and75 km the city centre of Thessaloniki . ‘Gmare’ includes studios and three types of apartments suitable for accommodating from two to four persons, depending on your choice. Some properties have a private garden, while all of them are decorated in an elegant and modern style, aiming for comfort and functionality with modern equipment. All studios and apartments of ‘Gmare’ arefully furbished to meet all your needs so that you can enjoy a relaxing and restful stay during your holidays. We’ll be glad to welcome you and provide you with top quality accommodation of the highest standards, whichever type of studio or apartment you select.